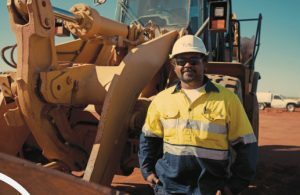 Working Together is a dedicated service with a focus on providing information, support and advice to business owners and operators in the Mid West to attract recruit and retain young Aboriginal employees. Working in collaboration with the local Aboriginal Workforce Development Centre, Working Together aims to expand employment, training and mentorship opportunities for young local Aboriginal people by connecting them with local businesses. Working Together is about delivering local jobs for local people. 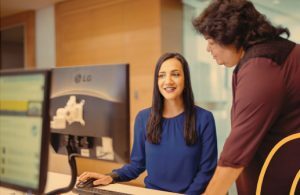 Having a diverse workplace that welcomes Aboriginal employees brings a range of benefits, your business grows with the unique perspectives, experience and knowledge that Aboriginal people can bring to your team and the whole community benefits. Whether it is offering employment or work experience and becoming a workplace of choice for young Aboriginal People. Working Together is here to support you to grow your workforce and expand your community’s local employment prospects and opportunities. Working in partnership with your local Aboriginal Workforce Development Centre, the Mid West Chamber of Commerce and Industry can help you become a workplace of choice, to attract and retain Aboriginal employees. Through our annual program of events combined with individual tailored visits to your business we are here to help. For more information visit dtwd.wa.gov.au/AWDC for more information.